Fall-blooming Feather Reedgrass is a great grass to incorporate into the back of your border for a softly-textured backdrop. A quick shout-out to an oft-overlooked ornamental grass that really is one of my favorites. Fall-blooming Feather Reedgrass (Calamagrostis brachytricha) can work as an anchor in your perennial border, with its graceful, arching, inverted-V form. At 4-feet tall and a spread of about 3-feet, it fills holes and pockets in your design and sits happily in the back row of the garden stage. In the fall, bottle-brush foxtail-like flowers emerge sandy beige and turn pinkish-rose and soft and feathery and lightly textured. They then blanch out straw-like and stay pert into the winter. 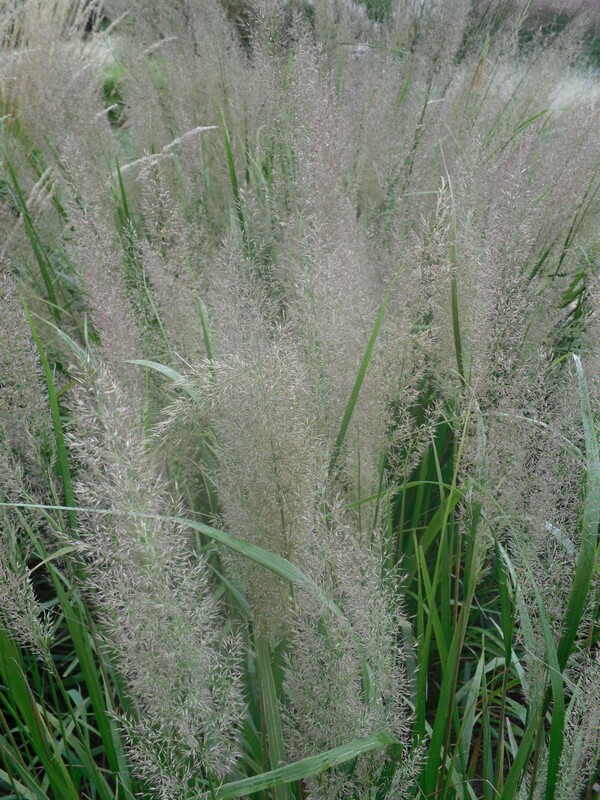 Read my Northern Gardener article on great grasses to consider for your garden. This grass is front and center in the Garden Drama test garden this week as it is an easy grass to divide in the spring, even late spring. It’s slow to emerge and you can easily send your spade into the center of it and work out a clump to move to another section of the garden. It’s highly tolerant of dividing. It spreads slowly, but over 10 years or so, may grow into a patch that is larger than you would like, so dividing is helpful. Next Post Hello Lilacs! The late spring isn’t looking so bad now, is it?